Dziner Travel Concepts is a well-known tour and travel company that is based in Pune (Maharashtra). 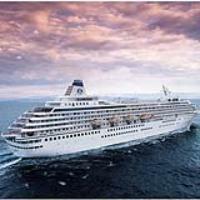 The company is engaged in offering excellent Cruise Services to the clients as per their requirements. Experience the beauty of any domestic or foreign land by sailing across the shore. Explore a place by taking a ride in one of the most popular cruise liners. Treat yourself with the breathtaking views of Mauritius, Dubai, Singapore, Malaysia, and many others. Contact our team to get the best deals on Cruise Services.